TAMPA- The Tampa Bay Business Journal nominated Blick Law firm as a finalist in the “Nearly Big” category for the Tampa Bay’s Best Place to Work. Blick Law Firm is one of 24 finalists selected in this category. Blick Law Firm is a small Tampa Bay Law Firm of about 13 employees that specializes in Bankruptcy, Personal Injury and Real Estate Law. The “Best Places to Work” award recognizes companies that excel in attracting and retaining employees by fostering a positive work environment and unique corporate culture. Employees of nominated companies were asked to complete a 37-question, online survey conducted by Quantum Workplace. The employee survey measures 10 key engagement categories focusing on items including team effectiveness, trust in senior leaders, feeling valued, manager effectiveness, compensation and benefits. Responses from each question of each completed survey are compiled and evaluated. Fifty-seven local companies were ranked and were selected as finalists for the 2011 Best Places to Work by the Tampa Bay Business Journal. Winners for the “Best Place to Work in Tampa Bay” awards will be announced on April 21, 2011 at the awards banquet held at Tampa Bay’s Lowry Park Zoo. Blick law Firm is a local Tampa Bay legal firm specializing in personal injury and real estate law all across the state of Florida. The owner, Michael C. Blickensderfer has over 20 plus years legal experience in Florida, New York and New Jersey. Blick Law Firms practice areas include real estate transactions, loan modifications, short sales, foreclosure defense, bankruptcy, title insurance and real estate litigation. We also serve clients in personal injury, including auto accidents, motorcycle accidents, slip and falls premises liability, dog bites, marine and aviation accidents and wrongful death. For further information regarding our legal services please visit our website at www.blicklawfirm.com. Tampa Bay area home prices fell by 1 percent in January and hit their lowest level since they peaked in early 2006, according to a Standard & Poor’s/Case-Shiller home price index released Tuesday. The bay area and 10 other cities — Atlanta; Phoenix; Charlotte, N.C.; Detroit; Las Vegas; Chicago; New York; Miami; Portland, Ore.; and Seattle — are at their lowest levels since home prices peaked in 2006 and 2007, the index showed. Nationally, the index of property values in 20 cities fell 3.1 percent from January 2010, the biggest year-over-year drop since December 2009, the index showed. Although prices continue to fall, bay area sales of existing homes incr… Read More. Japan Earthquake and Tsunami Relief, donate today! An 8.9 magnitude- earthquake struck Japan, triggering a massive tsunami. In just minutes when the tsunami struck lives were lost, homes were destroyed, and families were split a part. In just minutes their whole world turned upside down. What can we do in just minutes to help thousands of families who were affected by this tsunami? We can take a few minutes and donate today, changing a life for a better tomorrow. Help out today and rebuild lives of people affected by this disaster. It is simple, just click here and through paypal 100 percent of your donations reaches the charity you support. Every organization handles disaster relief donations differently. When you choose a nonprofit to support, please read their mission statement or visit their website to understand how your gift will be used. Recent article posted by Laws and Settlement, A quiet spoken attorney with a very loud and clear commitment to the community around him, Michael Blickensderfer made a decision to open his wallet and open it wide. Although the Blick Law Firm may do a bit of legal work for free from time to time in the classic pro bono definition, Blickensderfer, a former prosecutor and public defender in New York and Florida, decided he’d step to the plate with cold, hard cash. After 25 years in public service and a brief turn at private practice in three other Florida firms, Blickensderfer went out on his on own two years ago. Together with his wife as the office administrator and his daughter as the marketing and community liaison, the Blickensderfers have established their own very personal way doing things. The Blick Law Firm has established relationships with about a dozen organizations, from the St. Jude’s Hospital for Children to a Christian motorcycle riders association to a suicide prevention organization. Bike week adds motorcycles to roads, caution urged. 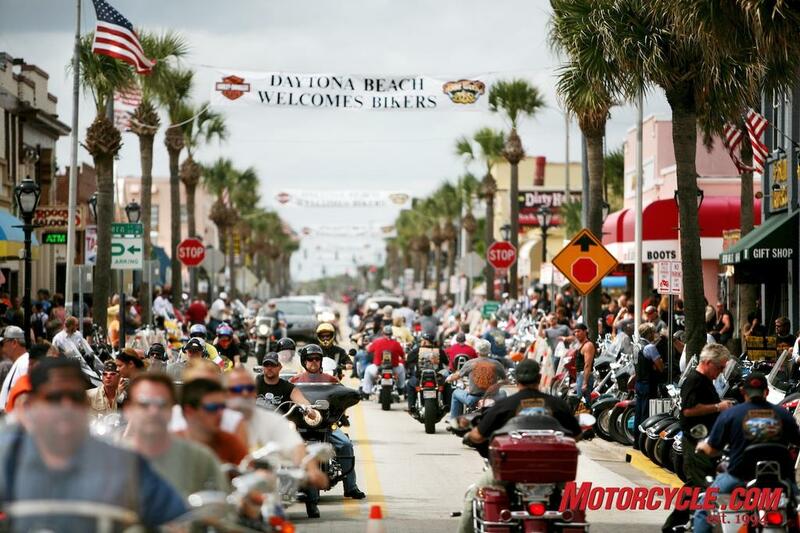 In a recent article from the Tampa Tribune, an estimated half-million motorcyclists begin their annual trek to Bike Week in Daytona. The traffic and excitement that it brings however is not the cause of most accidents according to The Florida Motorcycle Safety Coalition. Research shows that 60 percent of vehicle-motorcycle accidents in Florida are caused by the drivers in the vehicle. A survey of bikers shows that while 71 percent are most worried about being hit by distracted drivers, only one in five wear reflective gear to reduce that risk. Besides recommending bikers to wear helmets, the AAA and Coalition suggest motorcyclist do whatever they can to make themselves more conspicuouson the road. Here are some other motorcycle-awareness tips for motorists: • Check blind spots before changing lanes or merging, particularly in heavy traffic. Assume motorcyclists pulling out of side streets do not see you and may pull in front of you. • Expect to see motorcycles as they are often hard to see in traffic. Look for a helmet, tires or a shadow alongside a vehicle that you can’t see around. • Don’t drive distracted. Drivers who take their eyes off the road for just two seconds double the risk of getting into a crash. Distracted driving is a major cause of motorcycle crashes. • Keep your eyes and ears open at all times. Motorcyclists may blend into groups of vehicles and may be closer than you think. Also, not all motorcycles are loud so listen closely if you think one is nearby. • Watch out when making left turns. Most crashes between cars and motorcycles involve left turns. The AAA online survey was conducted Feb. 8 to 11 and included motorcyclists living in Florida, Georgia and Tennessee. A total of 202 motorcyclists completed the poll, which has a margin of error of plus-or-minus 6.7 percent. Here are some other statistics that came out of the survey: • 33 percent of bikers say they have been involved in a motorcycle crash and of them, 67 percent said another vehicle caused the crash. • 23 percent of bikers surveyed say they have ridden within a few hours of alcohol consumption. • The main reasons cited for riding after drinking were: Bikers believing they were not intoxicated (74 percent) and bikers saying they were driving only a short distance (35 percent). If you find yourself injured or on the road and see a motorcyclist down during bike week call a Tampa personal injury attorney that can help you get you the assistance you need! Call us 24/7 at 813-931-0840.